As an after-effect of the Iraq-Iran War which raged from 1980 to 1988, Baghdad found itself crippled by debts to neighboring countries, Saudi Arabia and Kuwait, and felt its debts should be forgiven. It pressured both countries to let it off the hook; the Saudis and Kuwaitis were not interested, however. Iraq, which considered Kuwait to be Iraqi territory, then accused Kuwait of exceeding oil production quotas set by Organization of Petroleum Exporting Countries (OPEC) agreements. On August 2, 1990, Iraq invaded Kuwait, seizing complete control of the country in less than 24 hours. 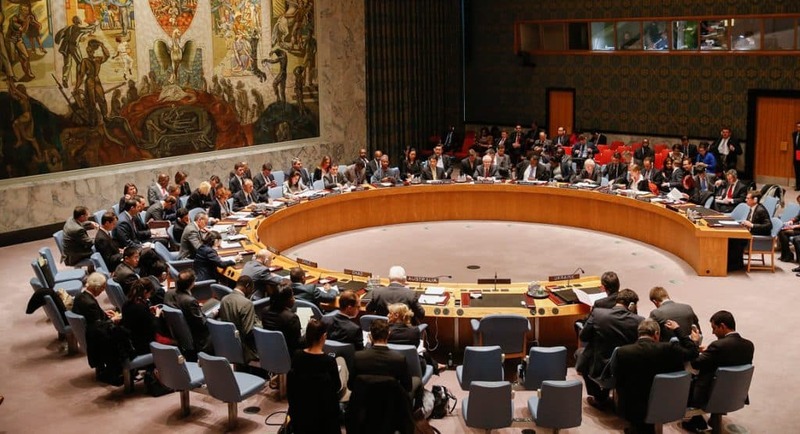 The UN Security Council responded just hours after the invasion and passed UNSC Resolution 660, which condemned the invasion and demanded a total withdrawal of Iraqi forces; Resolution 661 imposed tough sanctions on Iraq. Not surprisingly, the negotiations proved to be quite complicated. Thomas Pickering spearheaded the United States’ efforts of resolving the conflict diplomatically as the U.S. Ambassador to the United Nations from 1989-1992. The New York Times hailed him as “arguably the best-ever U.S. representative to that body”. 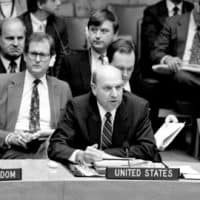 In Part I of Ambassador Pickering’s account, he recalls the beginning of rising tensions and the initial stages of UN diplomacy efforts at the onset of the Gulf War. He was interviewed by Charles Stuart Kennedy beginning in April 2003. Read Parts II and III here. Go here for more Moments on Iraq. PICKERING: On August 1, 1990 Saddam Hussein of Iraq invaded Kuwait with some 40 plus divisions. He took control in one day. The lead-up had been in part a dispute about whether Kuwait would continue to fund Iraq to cover war debts left over from the then terminated 8-year war between Iraq and Iran. Other issues were differences over oil prices and at rock bottom a long standing Iraqi unhappiness that Kuwait had been separated by the British from Iraq and made a protectorate in its own right; the Iraqis considered it the 19th province of their country. I would say that the Kuwait issue had for us three principal phases and then a follow-on. 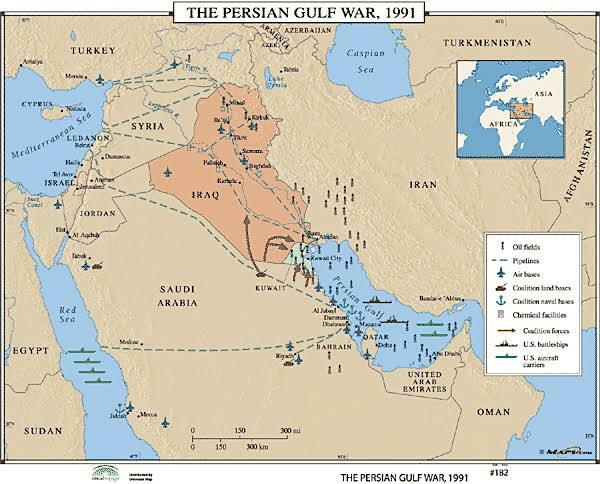 So to put it in context in an analytical sense the opening phase, which began with the Iraqi invasion took place on August 1, 1990 and lasted until the end of the passage of the resolution of the use of force which I believe was the end of November, maybe November 29, 1990. This was a phase of intensive Security Council activity and I will talk about that in a minute. Then there was a quiet phase, but it was a fairly defensive phase between the passage of use of force resolution passage and the opening of conflict, I think, on January 17, 1991 and then to end of that conflict sometime in March or April in which the Security Council activities were much less intensive, basically defensive damage limitation kinds of efforts and I will talk about that. Then there was the third phase which was at the end of the war phase which was addressed principally in Resolution 687 which was called the “mother of all resolutions.” It was a three-part resolution that dealt with in effect putting into place a cease-fire via a United Nations resolution. It put a lot of requirements on Iraq as the party defeated in the aggression. Iraq had to assume onerous responsibilities as a result of the use of the mandatory powers of the Security Council, including an inspection mechanism for weapons of mass destruction, nuclear, gas and biological and delivery vehicles such as missiles among many other things. The third phase included for the first time in a broad sense the use of the Security Council as a war termination mechanism. In the past, resolutions supporting the end of a conflict were closely related to the negotiated terms between the parties. This one was a fiat created in the Security Council which imposed the terms on Iraq with no Iraqi participation in the process at all except to argue about it at the Security Council table. Then the follow-up phase was basically focused right on through to the second Gulf War and some of that took place while I was there in late ’91 and early ’92 with trying to in effect, use the Security Council as a reinforcement mechanism to assure that Saddam complied with the resolutions and where there were ambiguities and uncertainties to use the Council as a method of clarifying what it was the Council really required of Saddam. It was, in effect, an effort to try to strengthen, support and further impose upon Saddam the post-conflict regime. Everybody had believed or hoped would lead to a situation in which Saddam would either wither away, disappear, or behave, the latter being an option which was in most people’s view highly unlikely. So, let me now go and try to address these three in sequence to give some thoughts on the activity. The Security Council had really rarely met in early 1990. Then it had focused only on two or three significant issues in my time at the UN beginning roughly at the end of February 1989 up until August of 1990. It had met and worked on the Namibia crisis in 1989 which it looked like all the negotiations would come undone. With the help of many parties and some action on the part of the Security Council things got back on track. It had overseen and blessed and worked on a Cambodian settlement which was coming along. That in part came out of a UK-initiated effort to try to bring the Permanent Five [P5, U.S., USSR, China, France, and the UK] members of the Security Council closer together to work on solving big issues. That was an important precedent for the first phase in particular. I was in the region in the end of June, in the Middle East at the end of June 1990, as part of a trip I made to visit members of the Security Council and other important states. The purpose was to gear up for potentially more intensive activities in the Security Council beginning about the time of the General Assembly reconvened in mid-September in 1990. This [is] kind of a trip of standard activity for the U.S. representative to the UN…. I went to Saudi Arabia and saw the Foreign Minister and then went to Kuwait and saw the Foreign Minister. I think we had a brief interview with the Emir [Ruler of Kuwait], saw the Prime Minister and the Deputy Prime Minister and the Oil Minister. In Kuwait the mood was basically ‘We are under a lot of pressure from the Iraqis to negotiate a price hike on oil. We think that is unwise and Saudi Arabia had confirmed it.’ The Saudis thought it was unwise to see prices move up well into the 20s [dollars per barrel]. It is kind of an ironic concern now. As a result Kuwait was holding out. It was very clear that the Iraqis were very intent on trying to collect some more money. They had huge debts, billions of dollars, coming out of the war with Iran. Some of them debts to people not ready to cancel them — the French and the Russians. Interestingly, also some of them to the Arabs, which I think Iraqis felt that they could easily slough off, while the Arabs, treated them as debts and as loans which they expected to have repaid. The Iraqis said that they were brotherly help from a friendly foreign Arab power to make sure that Iraq survived the war with Iran and did what it could to win it. All of that set the stage then for a surprise to all of us late in the day in August the 1st when I was informed by the State Department that Iraq had invaded Kuwait. It was almost complete by then and that I was instructed to call a Security Council meeting right away. That was an occasion in which I was at a dinner with my departing British colleague Sir Crispin Tickell and his wife hosted by the late Tom Enders and his wife at a New York hotel. I was called out of the dining room by the waiter to take an urgent call from the State Department. I took it in the pantry with all the waiters running around. I talked to [Under Secretary for Political Affairs] Bob Kimmitt and we talked a little bit about the character of the resolution they were working on for the Security Council in New York. We shut down the dinner and I called immediately the Romanian [President of the Security Council, Aurel-Dragos Munteanu], who was relatively new and this was his first time, very first day, as President of the Security Council. This was the first day of the month in which he had become President; it is a monthly rotating office. So he was quite surprised and I suggested that he get in touch with the UN Secretariat right away and get them to mobilize a meeting. The Security Council is supposed to meet on hourly notice, this was 10:00 at night, we were lucky if we could probably get going by midnight or later. 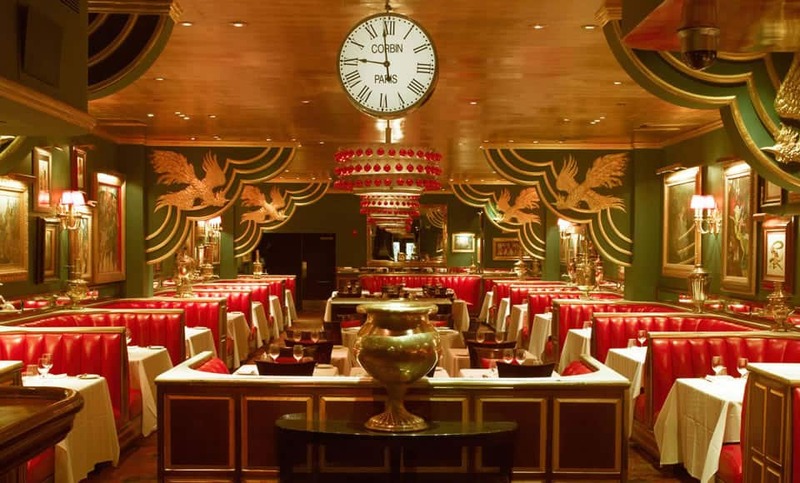 So I called the Russian Tea Room and, of course, the Kuwaiti was shocked, but understood that it was serious and that we were ready to go into the Security Council. He had to regroup his forces because he would have to carry some of the weight in the meeting. He was not a member of the Council, but obviously parties to an international dispute being covered by the Council get a seat at the table and are expected to make statements. So he got going on his side of the issue. In the meantime, too, we began to think about a resolution further with Washington. We called for an immediate ceasefire and withdrawal of Iraqi forces from Kuwait and threatened sanctions if this didn’t happen. This became Resolution 660, which is the first in a series of resolutions that follow along right until Resolution 678, which was the use of force resolution. There were about a dozen of these resolutions that related to Kuwait and all of them in one way or another were important. We passed that resolution sometime in the very early morning, I think around 4:00 or so or 4:30 and I went back home to try and get a little sleep. [National Security Advisor] Brent Scowcroft called and said the President [George H.W. Bush] wanted me to come down to a meeting he was calling of the National Security Council to discuss the issue. I got an early plane down and we met fairly early in the morning over the White House in the Cabinet room. It was an interesting session because it was very clear to me that at that our focus, as it should have been, but perhaps more exclusively than I expected to see it, was on defending Saudi Arabia and obviously the oil from Saudi Arabia on the assumption that we had lost Kuwait. My recollection was that this impression came both out of the military and intelligence briefings I heard at the meeting and some of the discussion — that we needed to focus now on how to make sure that we protected Saudi oil and made sure that Saddam didn’t move against Saudi Arabia. I spoke up near the end of the meeting at an appropriate occasion, I think I was the only one to do so and said that I thought the credibility of the President’s foreign policy in the region hinged on our being able to make a commitment to liberate Kuwait. We had really no other alternative. Letting Kuwait go down the drain in effect meant that the support that we had given for the states in the region, their sovereignty and indeed to protect the very considerable oil supplies from Kuwait, would be seen as weakened if not discarded. We could not allow the creation of a precedent for a continued kind of Iraqi gobbling up of other states and territories in the region. They required that we be very firm on this and I felt it was significant to draw the line on recovering Kuwait. In any event by Aspen in the afternoon they had a joint press conference in which it was done. I later talked to Henry Catto, who was Ambassador to the UK then, and actually had the meeting in his house in Aspen. 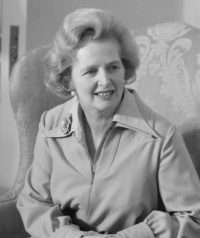 He described in effect the parts he saw, I don’t think he saw it all because some of it was alone, but in effect it was I think through fairly tough work on the part of Prime Minister Thatcher with the President that they reached the conclusion that we had to take on the liberation of Kuwait part of the problem as well as the defense of Saudi Arabia. Both in my view were important. I think that very quickly Saddam allowed it to be known that he wasn’t going to withdraw and tried to establish a kind of status quo ante. So we then went into a mode of passing sanctions resolutions at the UN against the Iraqi exports and imports and obviously shutting down all weapons trade and things of that sort. We did it in the Security Council in the mode in which the Security Council, by referring to Chapter VII of the United Nations Charter, operates in a way that is considered by all states to be binding under the Charter. Much depends on obviously on how anxious they are to observe the binding character of the resolution as to whether they do so. Most however do. International juridical opinion pretty broadly supports that interpretation — that when the Security Council speaks about acting under Chapter VII of the Charter that in fact makes it an effort to bind internationally all states, most of which don’t participate in the Council at all. Successive resolutions were all passed in the binding mode. That was very unusual because up until then it was my understanding, I’m not a historian of the Council, the Council rarely used the mandatory provisions. But with the Iraqi invasion of Kuwait and indeed the public reaction, it was fairly clear that the Council had to act and should be acting in fairly tough manner with respect to Iraq as an aggressor state. There were differing views in the region in those early days. Some, including in particular Jordan, thought that there was a negotiated solution possible. They pressed for negotiations for a solution. 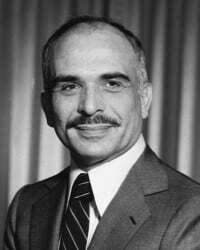 King Hussein, and I later talked to him about it, thought that because the Council had moved so precipitously as a result of American pressure, it had blocked the possibility for a negotiated solution. Saddam used that as a reason to Hussein for not wanting to negotiate. The speed was in part pushed by a concern about a potential military move by Iraq into Saudi Arabia which was not well defended then. Hussein may have been depending more on hope. Jordan had over the previous eight years gotten very close to Iraq. It was through Jordan indeed that most of the military supplies from outside arrived in Iraq to support the war. It was Jordan that reaped the benefits obviously of all that transit trade. It was Jordan too that had the most to lose if Saddam became an international pariah. It was also clear to me having spent a lot of time in Jordan that the Iraqis were obviously also trying to use Jordan. Jordan had perhaps up to 400-500 thousand Iraqis at one point or another taking refuge from the war, but also spending money there. The Palestinians and [Chairman of the Palestinian Liberation Organization (PLO) Yasser] Arafat opted for the Iraqi side in this conflict than with the Kuwaiti side. That put them more than in the doghouse particularly with the Western world if not entirely with the Arab world. Saudi Arabia was shocked and obviously very much concerned about its future. They stayed very close to us because the military response of the United States was to begin sending forces to Saudi Arabia to defend the country against another Iraqi move. Later those forces became the heart of the effort to liberate Kuwait. What happened then was that we developed a routine in the Security Council as we moved from the first resolution seeking immediate withdrawal very quickly to the sanctions resolutions and then to following on. It became very much my view in New York we had to keep the Security Council dealing with Iraq on a daily basis if we were going to be successful in mobilizing the Council on a continuing basis. I don’t think that was ever really disputed in Washington. We needed to keep the Security Council moving because eventually we might need it to authorize the international coalition to use force to liberate Kuwait. Early on it became obvious that were the sanctions to fail, and nobody hoped that they would, but I think everybody felt that given the bloody-mindedness of Saddam that their chances for success were certainly not above even and less than that. Therefore you had to guard against a failure of sanctions. So what we did after two or three resolutions was to develop a routine. Point number one was that when it looked like we were ready to get a resolution voted on, we had already begun to look for what the next resolution would have to be. We were never left, I think, searching for a subject, because Saddam would do something one way or another that would give us an obvious opportunity for the next resolution. The second thing was that I discussed this first with the British, then with the French and then the three of us very early on as to what the next resolution should be, ask capitals to decide on what it was. We would then start working on the text with Washington, London, and Paris…..A lot to this was accompanied with Presidential phone calls and Secretarial phone calls. We also did develop a routine, if I could put it that way, for the construction and passage of resolutions. 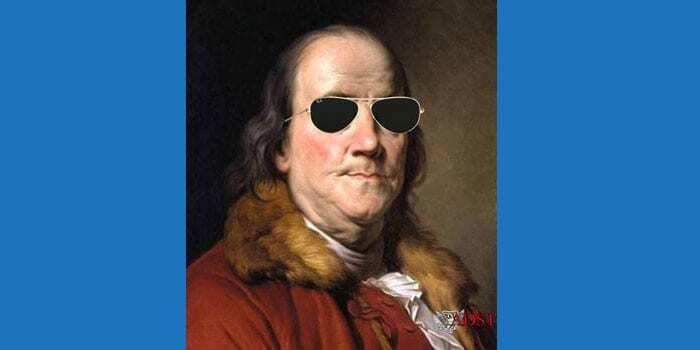 That required British, U.S., French agreement on a text in New York as the next step. We then moved that text into the P5 [five Permanent Members of the UN Security Council] and presented it in a meeting to the Russians and the Chinese. They knew without having to ask that the British, French and we were pretty in agreement on the text, but we were there to talk to them, to accept their changes, to sound them out on what they could sell and obviously to move the process along. We wanted the next step to be P5 unity on the text…. At the time we were moving in the P5, once we had a pretty clear view that this would sell in the P5 we would begin to talk to our other close allies among the non-permanent members of the Security Council, usually the Western Europeans — in the early periods Belgium and Canada. They were very close NATO allies and carried some of the burden. We did not want to have [them] on the other side of the fence…. The early stages of the process I began with a regular talk first thing in the morning with David Hannay who was my UK opposite number [Ambassador to the UN] after Crispin Tickell left. We would talk about where we were going next and what kinds of elements should be in the next resolution and how to move ahead. Because of the EU [European Union] connection, David talked more frequently with Jean Bernard [Raimond, French Minister of Foreign Affairs] than I did. I would often rely on David given the time and the pressure to pick up with Jean Bernard and come back to me and say that Jean Bernard’s ok and that it looks like Paris is ok or we both need to go talk with Jean Bernard, or we need to work on this particular piece or that particular piece of the text. So there was that very informal view and then we would have a sometimes-tripartite meeting and then we would have the Five meeting and then we would take the resolution to the next stage. The next stage was to introduce it to the seven Non-Aligned Members of the Security Council — in those days, essentially the Latins who included Brazil and Cuba — the Africans, Ivory Coast was among them. Yemen was a member. In any event, Asian members — Malaysia was involved and played an important role in the Council. What I would do with some of these resolutions was, particularly if they were difficult, I would have personally a bilateral or trilateral [meeting] with the French-speaking Africans in a side room before we presented it to the Non-Aligned Group. We would go through the resolution, we would do it in French with them so that they were comfortable with the text and understood what it meant and had their questions answered. They always appreciated this and felt that we went out of our way to do this kind of high-level consultation with them. They were on board and we had a lot of success in working that side of the street. But the culmination of that phase would be the presentation of the text in the informal meeting room of the Security Council, which we sort of appropriated for the purpose. It would always be never be less or more than four of the P5 to make the presentation. Almost exclusively it was the Chinese who didn’t attend, but with the four of us there the politics was such that they knew in fact that the Chinese were on board or we wouldn’t be there. The Chinese usually were pretty faithful and would not try to undermine us on those kinds of things. The way in which we did it was one of us would present the text and talk them through it. Then we would collect their comments and ideas. If we could and it was important, we would accept on the spot the changes that we knew we could buy if they were not deleterious to the resolution and helped us out. But we attempted very hard to be accommodating because those folks were important to us and to some extent it worked pretty well. They were important because the seven collectively had a veto in the Council since you need nine out of fifteen votes to pass a resolution. Then when the text was set, we would tell them what our deadline was for passage and when we wanted to get the final text out.